A large crowd listens to tour leaders Thomas Cartwright and Eric Jacobson. 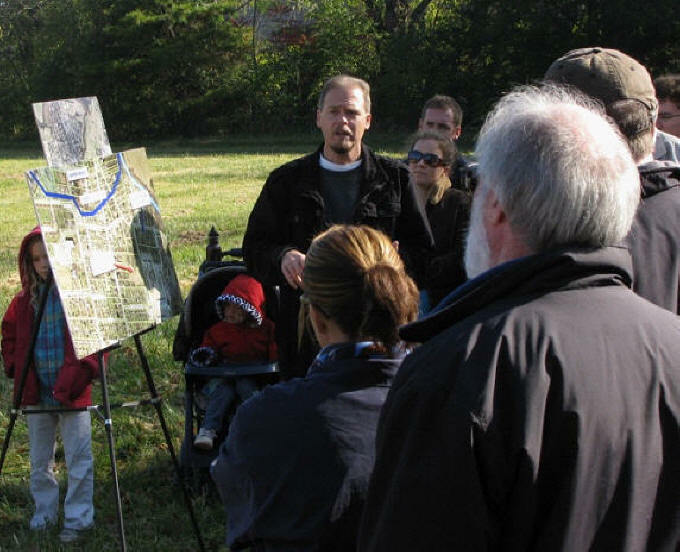 STFB conducted the first ever public tour of the Loring's Advance property on November 5, just a few days after its purchase closed. When we set up the tour registration tent that Saturday morning, it was impossible to see 100 yards due to very heavy fog. Everything was dripping wet with superheavy dew. 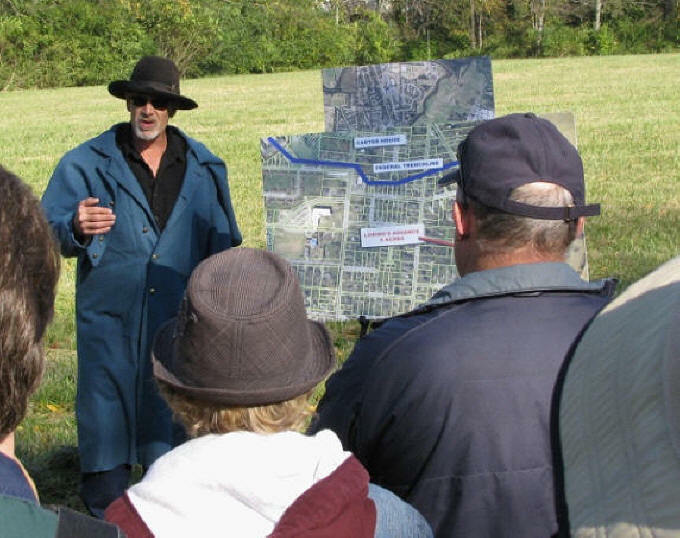 Just as the crowd of about 60 arrived and the tour stepped-off, the fog suddenly lifted to reveal clear blue skies as if the first-ever tour of this important part of Franklin’s Battlefield should begin with a curtain raising. We were extremely fortunate to have two renown scholars of the Battle of Franklin leading our tour. 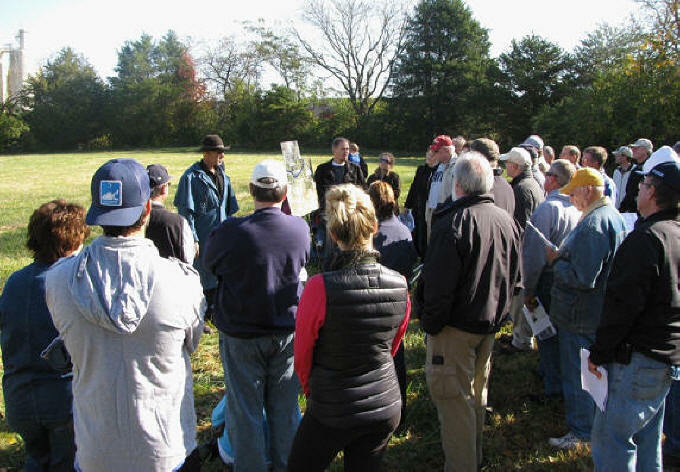 Both Thomas Cartwright and Eric Jacobson are well known and respected both locally and nationally for their knowledge and passion for the Franklin Battlefield. Eric and Thomas pointed out that the Federal line from Columbia Pike east to the river is only 700 yards long. The river forced those attacking formations east of the RR tracks to shift over the tracks to get to the Federal line. 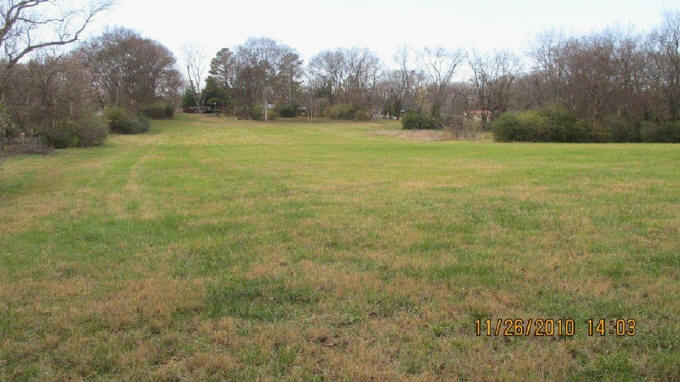 This resulted in four Confederate divisions – Cleburne, French, Walthall & Loring's – all crashing into this 700 yard long line of entrenched Federal troops. The concentrated Federal fire into these compact Confederate formations was devastating. Eric also noted that there were 10 guns behind the east end of the Federal trench line. Those guns fired 1,150 rounds into the Confederates as they advanced and then retreated across the general area of Collins Farm and Loring's Advance. 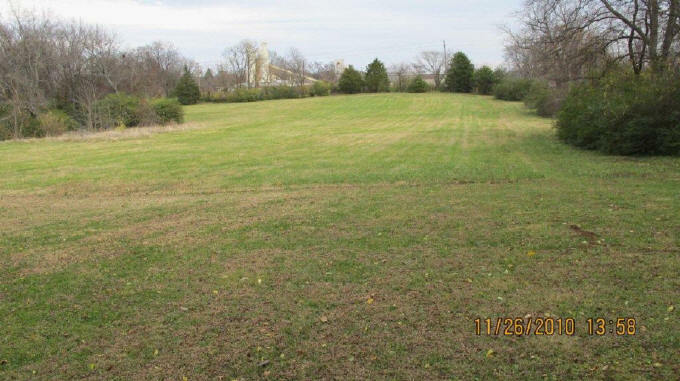 During the battle, two Napoleons of the ten guns were moved onto the RR tracks probably near the Murfreesboro Pike crossing where they could pour double canister along the track bed and into the river bank below the RR embankment. Plus, four rifled guns of Battery D 1st Ohio near Fort Granger poured another 166 rounds into the attacking formations. After the war, their historian noted that of all their battery actions during four years of war, their gunnery at Franklin was by far their most effective. For now, interpretative signage will come once we have a plan for public access. We will work on new materials for signage right away. The very first thing we must do is raise the $50,000 we committed to Civil War Trust for the purchase. Read more about Loring's Advance.